Gen 17:4-9 "Behold, my covenant is with you, and you shall be the father of a multitude of nations. (5) No longer shall your name be called Abram, but your name shall be Abraham, for I have made you the father of a multitude of nations. (6) I will make you exceedingly fruitful, and I will make you into nations, and kings shall come from you. (7) And I will establish my covenant between me and you and your offspring after you throughout their generations for an everlasting covenant, to be God to you and to your offspring after you. (8) And I will give to you and to your offspring after you the land of your sojournings, all the land of Canaan, for an everlasting possession, and I will be their God." (9) And God said to Abraham, "As for you, you shall keep my covenant, you and your offspring after you throughout their generations. 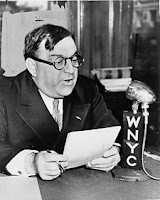 LaGuardia, was mayor of New York City during the worst days of the Great Depression and all of WWII. He was a bit flamboyant and because of the little things, was loved by New Yorkers. One of the stories that characterized him, is of a bitterly cold night in January of 1935, the mayor turned up at a night court that served the poorest ward of the city. LaGuardia dismissed the judge for the evening and took over the bench himself. Within a few minutes, a tattered old woman was brought before him, charged with stealing a loaf of bread. She told LaGuardia that her daughter's husband had deserted her, her daughter was sick, and her two grandchildren were starving. But the shopkeeper, from whom the bread was stolen, refused to drop the charges. "It's a real bad neighborhood, your Honor." the man told the mayor. "She's got to be punished to teach other people around here a lesson." LaGuardia sighed. He turned to the woman and said "I've got to punish you. The law makes no exceptions--ten dollars or ten days in jail." But even as he pronounced sentence, the mayor was already reaching into his pocket. He extracted a bill and tossed it into his famous sombrero saying: "Here is the ten dollar fine which I now pay; and furthermore I am going to fine everyone in this courtroom fifty cents for living in a town where a person has to steal bread so that her grandchildren can eat. Mr. Baliff, collect the fines and give them to the defendant." So the following day the New York City newspapers reported that $47.50 was turned over to a bewildered old lady who had stolen a loaf of bread to feed her starving grandchildren, fifty cents of that amount being contributed by the red-faced grocery store owner, while some seventy petty criminals, people with traffic violations, and New York City policemen, each of whom had just paid fifty cents for the privilege of doing so, gave the mayor a standing ovation. The gift LaGuardia gave wasn’t justice – that would have been $10 or 10 days. The gift LaGuardia gave wasn’t mercy – that would have been paying the fine for her. The gift LaGuardia gave was grace – it covered the first two and then offered above and beyond – grace. What gift has meant the most to you in your life? Let me help by giving you some categories. Lets call one category Expected gifts – those gifts that go with birthdays and Christmas. Then there are Unexpected Gifts. There are gifts like the ’75 Mustang II that mom and dad bought for me even though they said they wouldn’t buy me a car after I turned 16. They surprise us and delight us. And then there is Grace. 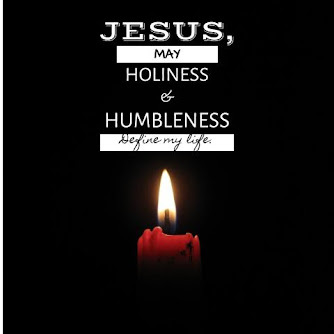 Last week, we talked about one of three pieces that help us become people of the Mission. Like relational gifts, they aren’t really so tangible or practical as say a building or equipment or even a website. We began by addressing how important it was to pursue wisdom. But the second piece isn’t what we pursue but we receive. And what we are recipents of it is something humanity has never quite come to grips with – grace. Grace doesn’t have to pursued. It isn’t hidden under a rock. Some things, maybe the hardest things, are the things we receive which we don’t earn, don’t deserve and don’t ask for. But God knew that we couldn’t even do that and he was right. The entire Old Testament carries the story of grace. Some look at it and pass judgement on God or judge God’s behaviors. God certainly allows the consequences of disobedience to run the course but God never broke his covenant. God never stopped being faithful, not to Abraham, not to the Jews and not to those who were even farther disconnected. “For you know the grace of our Lord Jesus Christ, that though He was rich, yet for your sake He became poor, so that you through His poverty might become rich. (2Co 8:9)” For all our mistakes, Jesus gave his life for us all. God is a JUST God and must pass judgement. 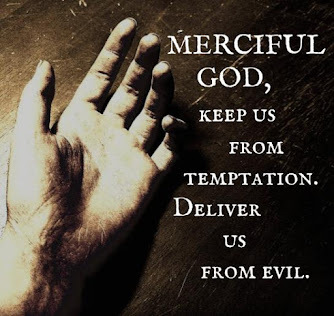 But God is also merciful and so will offer mercy. But God’s nature is to go beyond and offer more – to spoil those he loves with grace. Grace is God’s story. It is in the incredible nature of God to do more than be just – to do more than be merciful – but to offer grace in its fullest. God’s grace goes before us – in Jesus Christ, grace was given before you or I was ever born – to wipe the slate clean. 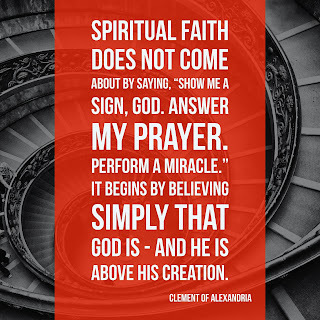 Grace represents that God never gives up on us, but God was, is and will always be in our corner – yes – even when we don’t want him there or when we don’t know he is there. To give grace, it is obvious, we have to have received it. Hard to believe that receiving a gift could be the hardest thing we ever do – to receive new life in Jesus Christ – to believe Jesus is God’s Son and trust in Him with your life. Yet, to be the chosen people, to belong to God, we then have to offer grace to others. Not Justice. Not Mercy. But go beyond. Jesus said we should be a servant. One of my good friends who is a pastor, was telling me this week, they have forbidden certain words in their church, one of them is the word Volunteer. He said they have Servants. I like that because servants go beyond – they are on call for their master and leader. A good servant is prepared to offer grace, to go beyond. Just as God’s grace goes before, to be a church who helps people, connect, follow and become disciples one loving act at a time – it means we too go before. God didn’t and doesn’t wait to offer grace, he gives it and as his people, we are called to offer it as well. Sure, it can be done here at Crossroads in being a servant in the Children’s ministry, with Scouts, as a greeter or with set-up and take down. But it is more what we offer to others, at Youth Detention Center, or in giving shoes or helping at Murphy-Harpst Children’s home. Maybe the most significant, is to invite someone to experience the news for themselves. Take an invitation card (or 2) and share with them what you’ve found at Crossroads - Grace. Click here for the podcast of the sermon. Who do you think would still be standing? Proverbs 3:13-23 Blessed is the one who finds wisdom, and the one who gets understanding, (14) for the gain from her is better than gain from silver and her profit better than gold. (15) She is more precious than jewels, and nothing you desire can compare with her. (16) Long life is in her right hand; in her left hand are riches and honor. (17) Her ways are ways of pleasantness, and all her paths are peace. (18) She is a tree of life to those who lay hold of her; those who hold her fast are called blessed. (19) The LORD by wisdom founded the earth; by understanding he established the heavens; (20) by his knowledge the deeps broke open, and the clouds drop down the dew. 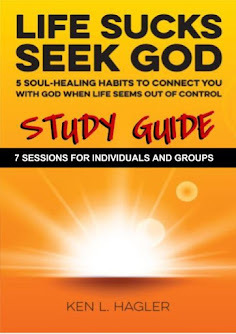 (21) My son, do not lose sight of these-- keep sound wisdom and discretion, (22) and they will be life for your soul and adornment for your neck. (23) Then you will walk on your way securely, and your foot will not stumble. When I was in third grade, I too received a Bible. I KNEW it was a book of importance but I didn’t UNDERSTAND that it was a book of influence. It didn’t come with the extra helps and thought provoking studies. It was just a plain Bible. At least, as a third grader that is what I thought. A New York art enthusiast had a good collection of paintings, one of them being the Leaning Tower of Pisa, which hung over his writing desk. Every morning, he noticed that it persisted in hanging crooked despite the fact that he straightened it every morning. At last he asked the housekeeper if she was responsible for its lopsided position each morning that he came to his office. Does that sound strange? That is exactly how a lot of people read the Bible, like it is some plain book that can be edited to say whatever we might like. We need to be sure to hang the picture right. One who has treated the Bible right, I have mentioned before, John Wesley, and not just because it was John Wesley who was the Anglican pastor instrumental in the start of the Methodist movement. Wesley wrote that he was a man of one book – the Bible. And it was this book that provided the foundation. 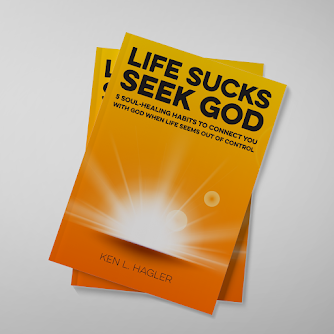 It was this book that provides the wisdom to become disciples of Jesus Christ. Because of his precise study of the Bible and how he lived it, John Wesley looked at religion different. Where others looked at the pieces of the puzzle: music – preaching – buildings – influence – money – people; Wesley saw the whole picture. He saw where the pieces fit. He once said, “The world is my parish” and what he meant was – The World Is My Mission. It was this vision – of seeing the pieces fitting together with a MISSION that turned a revolution in England into a revival. The writer of Proverbs understands the importance of wisdom maybe better than any other writer in the Bible after all, proverbs express wisdom. But it isn’t just any wisdom, here in these words, wisdom comes alive; designed to influence not just be important. Solomon was the richest of Israel’s kings and the wisest. If anyone had a chance to compare and contrast the value of money versus wisdom it would Solomon. He contrasts the value of wisdom, and for Solomon, gaining wisdom far exceeded the benefits of money. The question is no longer what will someone do for buck but what won’t someone do? The world around has never given wisdom credit – power, athleticism, money all are celebrated. This ought to help us keep perspective – If everyone is doing it – should we? Ask yourself, do I share Solomon's high estimation of the value of wisdom? Does Crossroads? But the value of wisdom isn’t just measured by our thoughts and ideas. Don’t let it be said God doesn’t value wisdom. Verses 19 and 20 put an end to that. It was wisdom that God used in designing and forming all of creation. Solomon’s implication in Old Testament is in keeping with the New Testament in James’ letter when he writes, “If any of you lacks wisdom, let him ask God, who gives generously to all without reproach, and it will be given him. 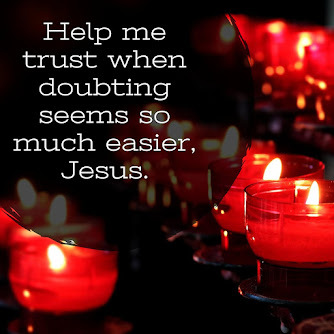 (6) But let him ask in faith, with no doubting, for the one who doubts is like a wave of the sea that is driven and tossed by the wind.” (James 1:5-6) Ask yourself, do you want the same wisdom guiding your life? Do you want it guiding Crossroads? Now ask, who wouldn’t like some security in the midst of this life? Who wouldn’t want to walk securely? Who wouldn’t want to sleep soundly? If so, then it is wisdom we are to pursue. During the early days of the Methodist Church in the United States, one Methodist pastor said these simple words, “I am a Methodist and so I am a missionary.” Those were words from one who was pursuing wisdom and understood it as a piece to the whole puzzle. And just as pastors are sent to pursue Jesus, so are all followers but it is done together – as a whole – not pieces. And let us consider how to stir up one another to love and good works, not neglecting to meet together, as is the habit of some, but encouraging one another, and all the more as you see the Day drawing near. (10:24-25). As a new church, this first summer is important for us and it is in keeping with wisdom for us to not neglect meeting together. As a church, we must pursue wisdom and that means following where Jesus Christ leads – the world is our mission. What about your mission? Will you pursue wisdom by following Jesus Christ? 010. Take a Sabbath from screens. Pick one day out of the weekend and stay away from screens, big or small, be they TV, computer, cell phone or blackberry. Don’t waste the day but plan ahead for doing things with family and friends or volunteering. I remember a few occasions (maybe more than a few), times where something got back to my parents. They always began with the phrase, “I was talking to…and they mentioned something I’d like to ask you about.” I knew at that moment; I – was – BUSTED! A young man was tired of the monotony and restrictions of home decided to leave, to go where he could do what he wanted. 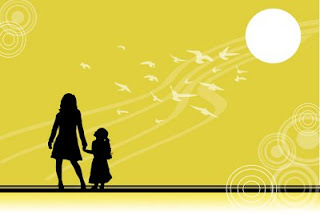 He had had enough and let fly with his thoughts and opinions to his mom and left home. After a number of years of doing what he wanted, when he wanted and how he wanted, things had not turned out as he planned. He decided to write to his mother and tell her that he was going to take the bus back home. He told her that if she would like to see him, she should hang a white handkerchief on top of the tree in their yard which could easily be seen before the bus stopped at the little home-town station. As the young man neared his house, everyone began to move to one side of the bus and began pointing out the window. There, the tree was covered in white handkerchiefs, enough so that the tree appeared covered in snow. The son could not understand after all he had said and done that his mother would be willing to take him back into her home and her life. How could she do it? In a disposable world we simply toss out the DVD player or the toaster, never taking time to repair it because it is cheaper to replace it. Then, when someone mis-communicates or misunderstands an e-mail, a phrase, or a raised eye-brow, we get hurt. A relationship breaks because we fail to read between the lines and so we dispose of it or toss it aside. When the crisis is not fixed in the same time frame as our favorite movie, it seems so easy to toy with the thought of tossing aside a relationship that does not work to our design or advantage. We assume that because we feel a certain way, the other party must feel the same way. It was a mystery to me as a child just as it was a mystery to the young man. It remains a mystery to me even as a parent, that my love for my children can increase in difficulties, yet, I find it does. A similar mystery exists with God when his love increases even when we wander. Know this “…where sin increased, God's grace increased much more (Romans 5:20).” How could mom do it? She knew grace. So can you. Write out a simple one sentence prayer for each day of the week so you can pray it on the go. Pray for your family. Pray for your church. Pray for your community. Pray for your nation. Then, pray for the world. With families on the go, there is always a shortage of time. I suppose if none of us are home together in the same place at the same time, at least our pets have peace. How on earth do you do it? Well, I would say there in lies the point of this series. 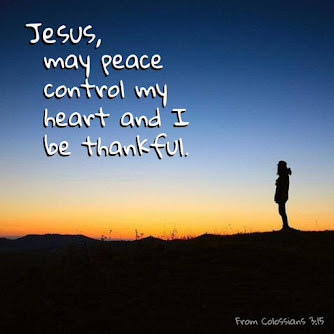 On our own peace isn’t possible, it is in fact a gift to us in Jesus Christ. Like any gift however, given, it is in using it that is most important. Jonathan Edwards was pastor in the 1700s. One thing he was attentive to was that his children were in church every Sunday. He has had 929 descendants-of these, 430 were ministers; 86 became university presidents; 75 authored good books; five were elected to the United States Congress and two to the Senate. One was Vice-President of this nation. I’m sure it was more than just being at church on Sunday that influenced the life of his children and descendents. Without delving too far into the stories in our own home, I’m sure the Rev. Edwards had his fair share of not so “pastoral” moments with his children along the way. Raising kids is no easy task and for that matter being a child isn’t all a walk in the park either! Let’s be real right? When EVERYBODY at school is saying a new word its hard not to at home right? Its hard when EVERYONE around has what you don’t right? Friends aren’t always fun either are they? Its hard being a kid and sometimes home is the one place you can let out. BUT – Paul says, you don’t take out your stuff in disobedience. Talk about with your parents. Work it out by running around and playing hard. But to the children at the church in Colossians and the church at Crossroads – Paul says: OBEY. 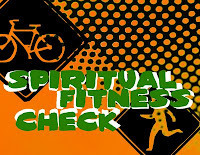 Paul doesn’t say JUST in going to church – everything! Doing home work. Brushing your teeth. Washing your hair. Time on the computer or video games. Driving the car. Complaining only leads to that foolish argument thing again which never brings about peace. The word should better be read even that children should make OBEYING a HABIT. And it isn’t just for peace that he says to do it but it is the outcome. The more important thing Paul says, is that obedience to parents makes God happy. One time, when Jesus was 12, he separated himself from his parents while on vacation. When his parents found them, they weren’t thrilled, even though Jesus (who was God’s Son) had his reason. But rather than argue, the Bible says in the Gospel of Luke 2:51 “So Jesus went back with them to Nazareth, where he was obedient to them. His mother treasured all these things in her heart.” Jesus was obedient to his earthly parents – a word with the same root as OBEY in verse 20. Now lets keep in mind, this is a family affair. This verse is tied directly to the next one. While it is directed at fathers, mothers should also take note. The culture of the time Paul wrote these words was one where wives and children were more property than people. Paul’s words to the church were freeing as they ought to be today. Paul makes the assumption, of course, that your parents or guardians are trying to follow Jesus’ example. While it is as important to correct our children don’t over do it. But why does obedience always have to do with chores and responsibilities? Why not have your children OBEY in doing something fun? Why can’t it be going out to eat as a family? Going to a movie together? A bike ride? A hike? A stay-cation around the ATL? Of course, this all changes as we get older. Kids become parents and parents, grandparents. In one of those movie moments a few years ago, my dad and I were talking about life while we were on vacation up in the mountains. My dad said to me, “You think it ends at some point, being a parent. Truth is you never stop being a parent.” While I count my dad today as one of my best friends, it is important for us all to remember we’re always someone’s child. What we practice in our families, the habits that build peace, are ones inspired by God’s actions and Spirit in us. Can you mistake the desire to live in peace? Will you take the steps, follow the very same example Jesus did? It is a family affair after all – for all that we practice in our homes effects what happens in God’s house – right here in the church. It’s why Jesus’ disciples have for years called one another BROTHER or SISTER – It is about family – even on the go. Click here for the link to the Podcast when it is available. Please keep in mind these notes are not the verbatim of my sermon but I hope you find them helpful.